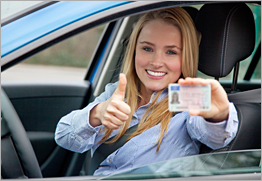 Your license to drive in North Carolina is one of the most important documents you possess. Losing your driving privilege can have devastating consequences. Your job, social life, ability to care for yourself, and your very freedom depend in many ways on your license to drive. Since 1998, the Curtis Sluder Law Firm has helped hundreds and hundreds of drivers get their license back, or keep them from losing them in the first place. 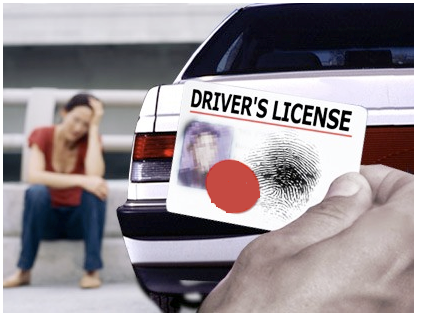 We represent motorists at DMV hearings, Criminal and Traffic Court, and in civil actions relating to driver licensing. We have extensive experience understanding and correcting problems on your driving record, minimizing or eliminating points, resolving suspensions and revocations and getting your license BACK. We offer a free driving record analysis. Bring us a current copy of your “official” driving record, and we will go over it to see how we can help, and what you need to do in order to get your license restored. Or, we can pull a copy of your record for a small fee. Waiting in line at DMV. Will you have everything in order? Your license to drive is important. Not only for convenience, but as a means to make a living and support your family. Having a driver’s license was more important for finding steady work than a high school diploma. 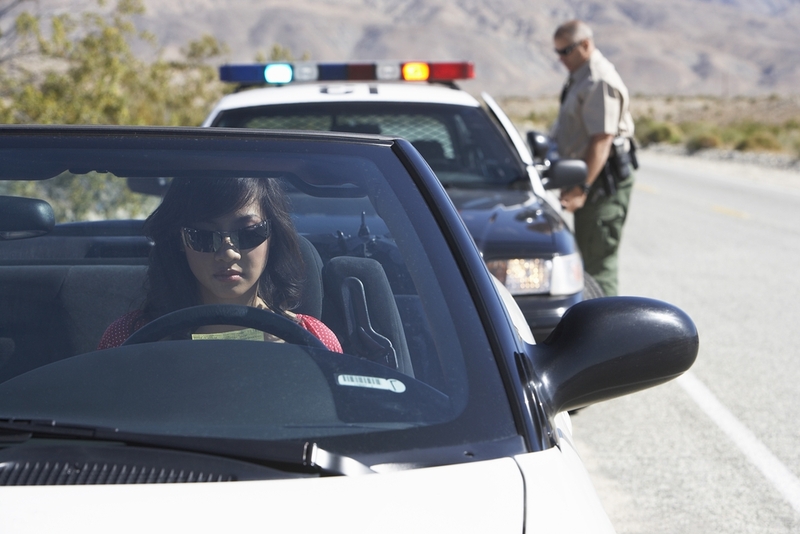 Minorities are most likely to have driver’s license problems related to fine collections. Some of the most common revocations are from DWI and Speeding tickets. Many people are not aware that speeding as little as 56 mph in a 40 mph zone can result in license revocation, even with a perfect record. Those who continue to drive to work with suspended licenses often are stopped for minor vehicle or traffic infractions only to be cited for driving under suspension or revocation, which can be a class 1 Misdemeanor and is punishable by 4 months in jail. Even when jail is not possible, DMV can still extend your revocation period an additional year, 2 years, or permanently. Lack of transportation to jobs is the most serious barrier to employment. Job seekers without a driver’s license and without a high school diploma have little hope of full-time employment and too often resort to crime. Three-fourths of job openings are located in the suburbs and are not easily accessed by public transportation. Driving is considered a privilege by the state, not a right. While this may have been true when the streets were filled with horses and carts, and only the wealthy had cars, it is integrally related to life today. If your license to drive has been revoked, call our office. In most cases, we will review your record free of charge, in order to determine what can be done to get you driving again. The Curtis Sluder Law Firm offers a free driving record analysis. Contact us today to see what steps are needed to get you licensed. Your Official North Carolina driving record holds most (though not all) of the information needed to plan a course to get your license back. These records are very difficult for most people to understand, and, quite frankly, most lawyers cannot read them clearly. We are very experienced with understanding the information contained in the official NC driving record and can parse through the codes used, and the multitude of entries to sort out what has happened with your driving history in the past, what needs to happen in the future, and sometimes, what can be done to correct or modify some entries. We offer a free analysis of your record, if you bring it to us, or we can get a copy for $15. Your local DMV office can print out a copy of what they call “driver problems”. We cannot sort out what needs to be done from a “driver problem” listing, as it does not show us your full history, and we cannot predict what the consequences will be from various actions we may need to take to get you re-licensed. So please, get an official record for an accurate analysis. We will need certain documentation in order to obtain a Limited Driving Privilege, and there may be other reasons for revocation that could prevent the privilege from being honored, but we should be able to determine that from the initial consultation and review of your driving record. Each privilege has certain requirements that must be met before they are granted, and we can advise you about what those requirements are and how to satisfy them so the judge will be most likely to grant the privilege. Different privileges, and different judges granting them, will have different restrictions. Some may have the requirement of an ignition interlock device, time of day restrictions, geographic restrictions, driving purpose restrictions, route restrictions, and so on. We work to get a privilege that will allow you the greatest possible freedom until you can get your full driving privilege restored. One of the most common reasons for a persons license to be revoked is a missed court date, or a failure to pay a fine. If you are revoked for a failure to appear in court, contact our office. For many failures to appear, an order for your arrest may have been issued in addition to a license revocation. In the case your failure to appear is for a citation that can be paid off, contact us first- the confusing DMV licensing system can cause your license to be re-revoked for paying off a ticket- paying it off is pleading guilty as charged, and further complications often come from pleading guilty after failing to appear. If you are revoked for failure to pay a fine, it may be possible to rescind that revocation upon a proper showing of inability to pay, or a good faith effort to attempt to pay. Depending on which county you failed to appear in, and what the reasons are for the failure to appear, it may be possible to have the order for arrest recalled, and your court date re-set. It may also be possible to have the license revocation rescinded as well. Contact us HERE to find out what we can do for your case. It seems as if each year the NC Legislature adds new restrictions and requirements to licensing for those convicted of DWI. We can help you sort through the myriad requirements to get your license back and get you driving again. When you are convicted of a first offense DWI, your license is revoked by the NC DMV of a period of one year. During this one year period, you may be eligible for a limited driving privilege to drive for work, school, assessment and treatment, community service, and household purposes. If you blew .15 or higher, you may be required to have an ignition interlock device installed on your vehicle. When you are re-licensed, you may have an alcohol restriction on your license, meaning you cannot drive with a lower level of alcohol in your system than the law permits drivers who have not been convicted of DWI to have. (5) restrict the applicant to driving only to and from the applicant’s place of employment, the place the applicant is enrolled in school, any court ordered treatment or substance abuse education, and any ignition interlock service facility. The ignition interlock restrictions for a limited driving privilege that are set forth as requirements (2), (3), and (4) above do not apply to a motor vehicle that is owned by the driver’s employer and that the driver operates solely for work-related purposes if the owner of the vehicle files with the court a written document authorizing the driver to drive the motor vehicle for work-related purposes under the authority of the limited driving privilege. G.S. 20-179.3(g4). That is, if you drive a company vehicle when you are at work, your employer may file paperwork acknowledging that they are aware of your DWI, that they provide a vehicle you need to drive at work, and they are allowing this driving of the work vehicle. This exception to ignition interlock requirements is unique to the limited privilege; there is no such exception to ignition interlock requirements that apply after the period of revocation ends and a person’s license is restored. G.S. 20-17.8. G.S. 20-17.8(b). An alcohol concentration restriction of 0.04 combined with an ignition interlock restriction is noted on a person’s license as restriction 20. An alcohol concentration restriction of 0.00 combined with an ignition interlock restriction is noted on a person’s license as restriction 22. These requirements are in effect for (1) one year from the date of restoration if the original revocation period was one year; (2) three years from the date of restoration if the original revocation period was four years; or (3) seven years from the date of restoration if the original revocation was a permanent revocation. G.S. 20-17.8(c). If the person was eligible for and received a limited driving privilege under G.S. 20-179.3, with the ignition interlock requirement contained in G.S. 20-179.3(g5), the period of time for which the limited driving privilege was held must be applied toward the requirements of G.S. 20-179.3(c). Thus, a high-risk driver subject to a one-year revocation who was issued a limited driving privilege on the forty-sixth day after the revocation is required to maintain ignition interlock for only forty-five additional days post-restoration. A person subject to the ignition interlock requirement as a condition of license restoration must equip all the vehicles he or she owns with ignition interlock. G.S. 20-17.8(c1). NC DMV may grant an exception to the requirement that all vehicles be so equipped for vehicles that are relied upon by another member of the person’s family for transportation and are not in the possession of the affected driver. Id. So, for example, if a driver owns a motor vehicle that is driven by and in the possession of the driver’s son or daughter who is attending college and lives outside the family home, the college student’s motor vehicle does not have to be equipped with ignition interlock. Among the most frequently asked motor vehicle law questions is whether a person convicted of impaired driving for an offense that occurred when the person was less than 21 years old is eligible for a limited driving privilege. The answer is no. The reason? No statute confers authority for the granting of a limited driving privilege for such a person. Without such authority, the privilege is invalid. G.S. 20-179.3(k). The state’s Division of Motor Vehicles (DMV) has the exclusive power to issue, suspend, or revoke a persons’ driver’s license. See Joyner v. Garrett, 279 N.C. 226 (1971); Smith v. Walsh, 34 N.C. App. 287 (1977). The General Statutes confer upon the courts, however, the authority to issue limited driving privileges—judgments that authorize a person with a revoked driver’s license to drive for certain essential purposes. To be eligible for a limited driving privilege, a person must satisfy eligibility requirements defined by statute and demonstrate good cause for the issuance of the privilege. 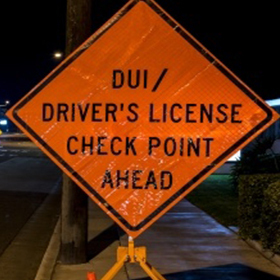 When a person is convicted of impaired driving, DMV must revoke the person’s license pursuant toG.S. 20-17(a)(2). If the person was under 21 at the time of the offense, DMV also must revoke the person’s license pursuant to G.S. 20-13.2(b). If the person was convicted of driving after consuming while under age 21 in violation of G.S. 20-138.3, the person’s license is revoked pursuant to G.S. 20-13.2(a). Revocations under G.S. 20-13.2 endure for one year and run concurrently with any other revocations. G.S. 20-13.2 is somewhat misleadingly captioned “Grounds for revoking provisional license,” though its license revocation provisions apply to persons under 21, rather than exclusively to provisional license-holders, all of whom are under 18. The incongruous reference resulted from the General Assembly’s failure to amend the title of G.S. 20-13.2, which formerly applied to only to provisional licensees, when it raised from 18 to 21 the age below which a person is prohibited from driving after consuming. See S.L. 1995-506. Judges are authorized by G.S. 20-179.3 to grant a limited driving privilege for a person whose license is revoked “solely under G.S. 20-17(a)(2) or as a result of a conviction in another jurisdiction substantially similar to impaired driving under G.S. 20-138.1.” If the person’s license is revoked under any other statute, however, a limited driving privilege awarded pursuant to G.S. 20-179.3 is invalid. G.S. 20-179.3(e). While a person whose license is revoked solely for conviction of driving by a person under 21 after consuming alcohol or drugs in violation of G.S. 138.3 is eligible for a limited driving privilege if the person is 18, 19, or 20 years old on the date of the offense, has not previously been convicted of a violation of G.S. 20-138.3, and meets other eligibility requirements set forth in G.S. 20-179.3, seeG.S. 20-138.3(d), a person convicted of impaired driving based upon the same conduct is ineligible for a limited driving privilege because his or her license also will be revoked pursuant to G.S. 20-17(a)(2). And, other than G.S. 20-138.3(d), there is no limited privilege that authorizes driving during a period of revocation imposed pursuant to G.S. 20-13.2. Indeed, G.S. 20-138.3(d) provides that “G.S. 20-179.3, rather than this subsection, governs the issuance of a limited driving privilege to a person who is convicted of [driving by a person under 21 after consuming] and of driving while impaired as a result of the same transaction.” As previously noted, G.S. 20-179.3 in turn authorizes a privilege only when a person is revoked solely under G.S. 20-17(a)(2). What happens if a court issues a limited driving privilege not authorized by law? Copies of all limited driving privileges that are issued must be sent to DMV. G.S. 20-179.3(k). 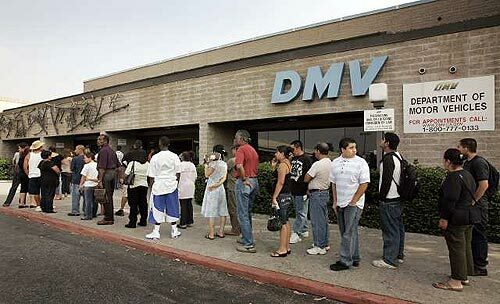 Upon receiving a privilege that is invalid on its face, DMV must immediately notify the court and the holder of the privilege that it considers the privilege void and that DMV records will not indicate that the holder has a limited driving privilege. G.S. 20-179.3(k). Readers may recall that the North Carolina Court of Appeals held in State v. Bowes, 159 N.C. App. 18 (2003), that the provision in G.S. 20-179.3k allowing DMV to declare void a limited privilege—a judgment of the court—gave DMV the power to reverse the district court. The court of appeals concluded that this grant of authority violated the separation of powers clause in the state constitution, though it agreed with DMV’s determination that Bowes, who was under 21 at the time of the impaired driving offense, was ineligible for a limited driving privilege. But the state supreme court in State v. Bowes, 360 N.C. 55 (2005), vacated the court of appeals decision and dismissed the appeal as moot. Thus, DMV continues to abide by the provisions of G.S. 20-179.3(k). Job seekers without a driver’s license and without a high school diploma have little hope of full-time employment and too often resort to crime. Ex-prisoners are the least likely to find sustained employment because of persistent legal problems, low education levels, high recidivism rates and driver’s license suspension and revocation problems. We know the steps to take to restore your driver license. Often it starts with a ticket and a failure to appear in court. Or a DWI and an assumption that the matter is clear after a period of time. Then a driving while revoked, or No Operators License Charge. Before you know it, it appears that there a re many problems with your license. I have sat in court and heard many well meaning persons tell people that they need to “correct” things about their license. I have seem clients who have been to DMV and have been told that they need to “Take care of an old ticket” and they can get their license back. So they do what is suggested. But then they discover that DMV has revoked them for even longer. Why? Because many well meaning people and even persons working at DMV either do not know, or incorrectly advise people. I have extensive experience with deciphering a driving record, and knowing which tools to use in order to not create new problems. Knowing the steps to take, what tools are available, and how to apply them is where I am most proficient.